Wells Fargo is being investigated for alleged identity theft linked to the bank's fake account scandal. The California attorney general served Wells Fargo with a search warrant on October 5 seeking a heap of documents linked to the bank's creation of as many as 2 million unauthorized accounts, CNNMoney confirmed. The L.A. Times first reported the existence of the search warrant, the latest in a string of legal challenges facing Wells Fargo (WFC). 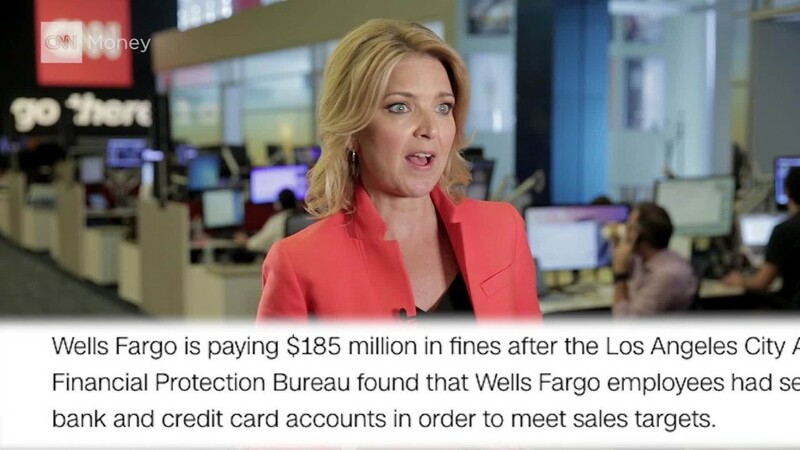 The search warrant said there is "probable cause" to believe Wells Fargo employees committed "identity theft" by using unlawfully obtained customer information to open bank accounts, credit cards and other products that customers didn't request. The California investigation is being run by Attorney General Kamala Harris, who is running for U.S. Senate. The search warrant requested the names of the Wells Fargo customers in California who were impacted by the scandal, as well as the names of the employees who opened the accounts. Authorities also asked for the identities of the branch managers, area managers and regional managers of those employees. It's unclear whether California is targeting lower-level employees, managers or executives. However, the search warrant noted that this appears to have been a "systemic problem within Wells Fargo." In a statement, Wells Fargo said, "We are cooperating in providing the requested information." The bank has previously apologized and said it's working hard to fix the problem, including by abandoning aggressive sales goals employees have said pushed them to cheat. The search warrant was received electronically by Wells Fargo and did not result in a raid of the bank's offices or branches, a person familiar with the matter said. The California investigation comes on the heels of many other investigations opened since Wells Fargo reached a $185 million settlement on September 8. On the national level, the U.S. Department of Justice is investigating Wells Fargo and several U.S. senators are pushing for the federal government to consider prosecuting Wells Fargo senior executives criminally. The Labor Department has also opened a "top-to-bottom review" into the bank's treatment of workers. Locally, Wells Fargo has been penalized by the state governments of California, Illinois, Ohio and most recently Massachusetts. There are also numerous class action lawsuits being brought by customers, investors and employees. Wells Fargo's independent board of directors has also launched an investigation run by law firm Shearman & Sterling.